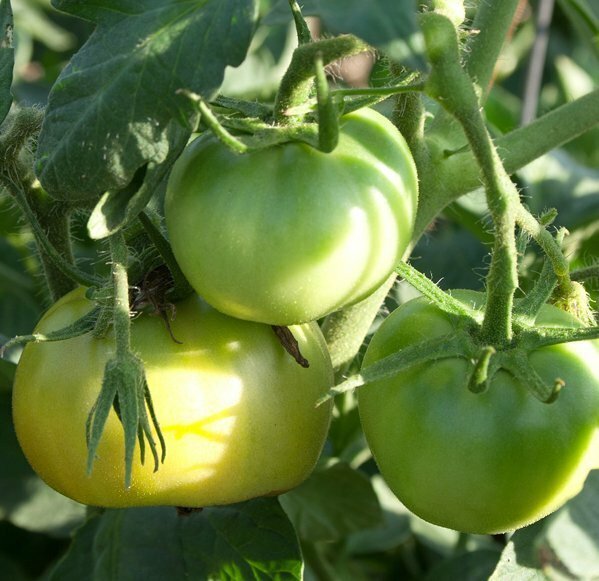 If you managed to keep a constant supply of ripe tomatoes coming out of the vegetable garden through this summer, you deserve a Green Thumb Award for dedication to your plants. But what about those green tomatoes still on the vines that will soon be facing the first frosts of fall? Don’t fret. When properly pampered, green tomatoes outside can be easily coaxed to ripen to a juicy red inside a home protected from the coming cold weather. There is really no big trick to saving tomatoes. It can be as simple as pulling up healthy plants that still have green tomatoes and dangling them upside down in a dry, cool (between 60 to 72 degrees) spot. A basement, garage or even unused closet could all qualify. Tucked away in such a manner, the fruits will slowly ripen. The only problem with this “hang ’em high” method is that mature fruit can easily fall off the plants and onto the floor. Splat! However, there is another method that not only reduces the splat factor, but, to me, is actually a better way to redden tomatoes in storage. This alternative involves pulling the green tomatoes off the plants and bringing them inside to ripen. Pick tomatoes that are free from splits, dings or insect damage and put them on trays in single layers in a place that has temperatures that hover around 60 to 72 degrees. Don’t pay any attention to the old wives’ tale that tomatoes need to be in the sun to ripen. No, in fact, it is better to keep the fruits out of direct sunlight to prevent the hot rays from burning them or turning the outer skins red before the insides fully ripen—meaning, it is temperature not sunlight that properly puts things into motion indoors to mature a tomato. You can fine-tune this storage method by wrapping each tomato in a piece of newspaper. This extra step has two advantages: (1) It prevents rotting tomatoes from spreading their plague to healthy fruits; and (2) the covering helps to trap the ethylene gas tomatoes naturally emit that helps them to ripen. Keeping these stored tomatoes in temperatures between 60 and 72 degrees is ideal, but if you can find a spot that hovers more towards the lower 60’s, the ripening process will be slowed, which will stretch this season’s supply of tasty, garden-grown tomatoes maybe even until the end of the year.